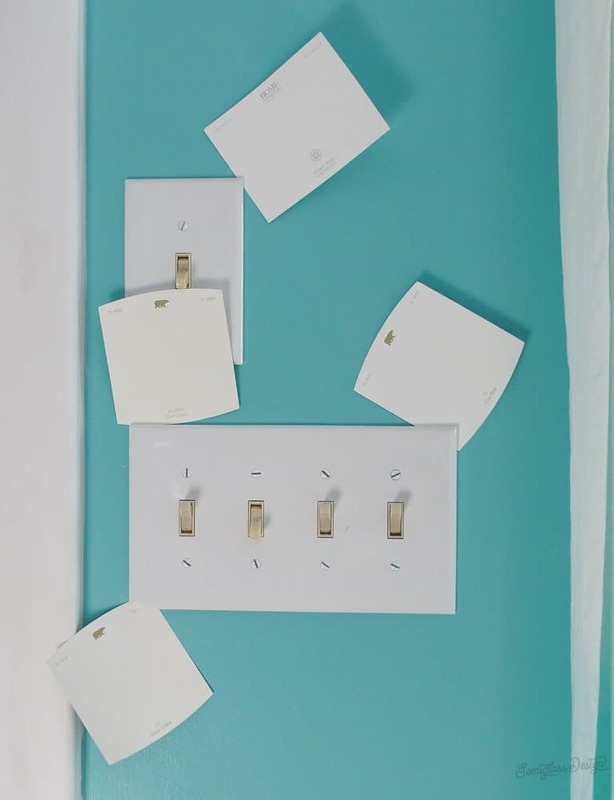 Learn how to choose white paint for walls. 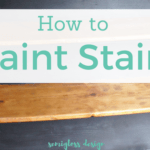 Paint is my favorite way to make affordable changes in my home, like my painted floor or painted stairs. Recently, I decided to paint my dining room and living room white. 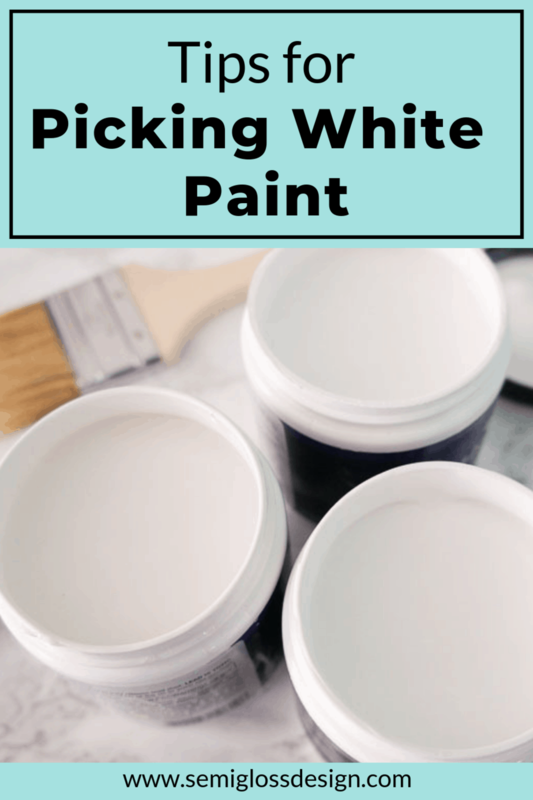 It took a while to decide on the perfect shade of white, so today I’m walking you through that process and all the thoughts behind this decision. 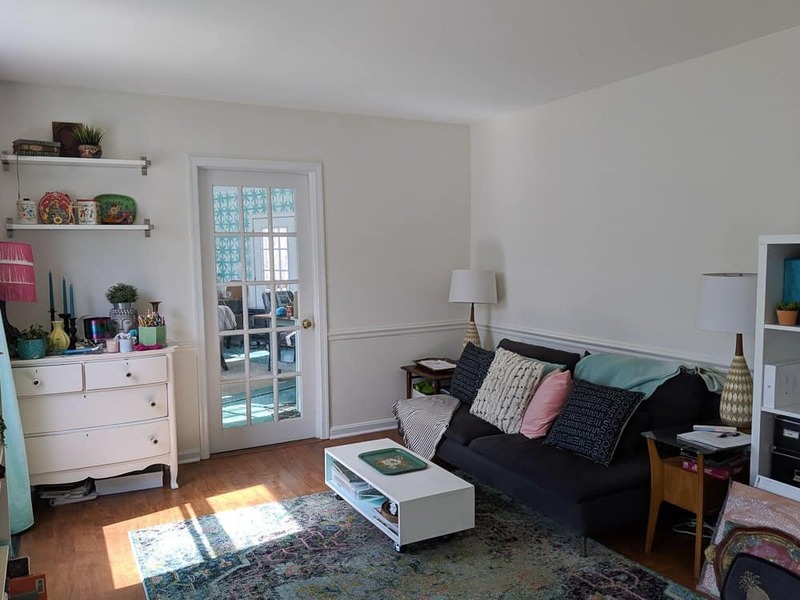 As a color lover, white walls have never been my normal design choice, but I think that’s going to change. I’ve painted my walls every color of the rainbow. Except white. So why would a color lover like myself choose white walls? To bring in more light. This past winter has been so gray and dreary. Weeks would pass without the sun shining and I just really wanted to bring more light in. The teal that once felt so happy, was starting to feel sad and dark. Spoiler alert: it worked so well that I constantly think I left a light on. White is the perfect backdrop for color lovers. 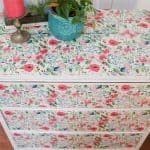 White paint really allows colorful furniture, decor, art and collections take the spotlight. 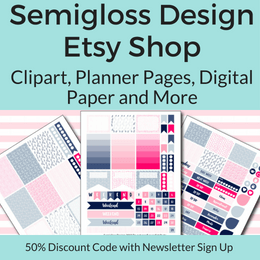 As my collections grow and I make cute home decor, I want those items to take center stage, not blend into the colorful walls. To prevent weird color reflections in photography. Okay, so maybe this just applies to bloggers, but I was constantly fighting the blue tones in every photo I take. And I’m not a great photographer or photo editor, so I need all the help I can get. Quiet space. I’m at a stage where I just need more quiet. More white space, less stuff, more room to breathe. Life feels overwhelming and white walls just feel like a move towards quiet. My bedroom and bathroom are both rooms with a lot of white space and I find those spaces feel very relaxing. It’s time for my main living spaces to feel like that too. I like them. Gasp! I was surprised too. But when I scroll through my Pinterest account, all of my favorite rooms are white with pops of color. Why Not Just Choose Off the Shelf White? Off the shelf white has always been my go-to. It’s easy to choose. You don’t have to wait for it to be mixed. But then I found out why this is a horrible idea. After painting all of the trim in my home with off-the-shelf white, I went to buy a new can of paint and discovered that that particular line had been discontinued! And the new line was NOT the same color of white. They couldn’t even match it for me. My ceilings are the same way. The new line of paint doesn’t match and touch up is impossible. If I had chosen an actual color, the paint line wouldn’t matter. The color is the same no matter what line it’s mixed in. Light orientation. Okay this one is tough because even if you pull out a compass and figure it out, chances are good that your house doesn’t sit directly facing south or north. Plus no one ever talks about west or east facing homes at all! But it’s important to acknowledge what time of day the light enters your room and when you spend time in that room. External forces besides orientation. My house is surrounded by trees so only a tiny amount of light actually gets in. And in the summer, all those trees cast a green light into my room. Maybe your house is surrounded by tall buildings. Or something else that makes it feel dark. This is important to think about. Your own preference. Do you like a dark, moody room or do you want a bright room? How you want to feel. This was the most important consideration for me, since the home orientation thing didn’t really matter due to my forest. I wanted my room to feel bright, but I also wanted it to feel warm. So I ended up looking at colors on the warmer end of the spectrum. 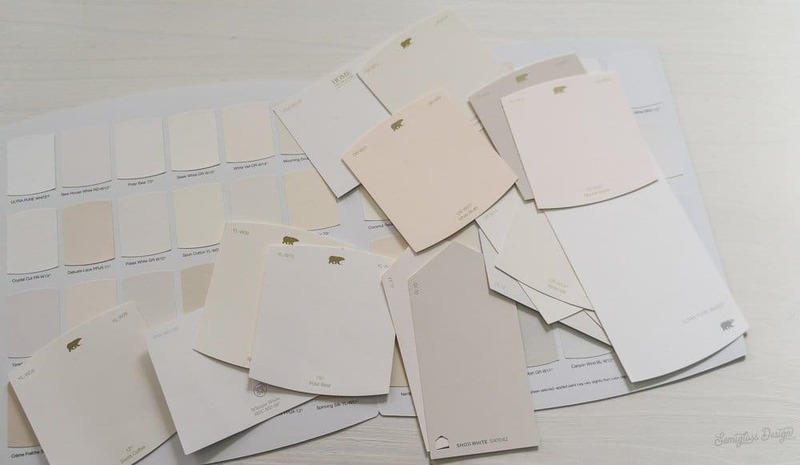 If your room is on the darker side, choose a white with a colored undertone. Pure white can feel dingy in a dark room. Even the lightest white will look darker if your room is dark, so keep that in mind. The white I chose is on the lighter side and it looks darker on the walls than on the paint chip. Did you know that some colors of white are almost impossible to test? I found this out when I went to buy test pots of paint. Some of the whites I had chosen had such a tiny amount of pigment in it, that the paint guy didn’t want to sell it to me. My first step in choosing paint colors is to look online and see what colors appeal to me. Using the Behr Color Smart tool, it’s easy to see the color nuance against the white of the screen. I stayed away from anything with a cool tone and looked at pure whites and warm whites. You can search for real rooms painted in those colors as well. I like to use Pinterest for this. Just keep in mind that your lighting might differ. Plus photos on the internet have usually been edited to show the room better. The next step is to go to the store and get paint chips. I place them in a pile in the room and it’s easy to see at a glance which ones I hate. Remove those and continue to eliminate the ones that you don’t like. I normally do this step during the day. When they’re all piled together, it’s easy to see which ones are too dark, too yellow, too pink, etc. After I’ve narrowed it down it about 5 colors or less, I place them on the wall in various places so that I can look at them throughout the day. Move them around to bright spots and darker spots. Look at them on sunny days and cloudy days. 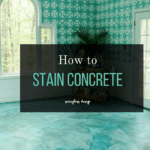 Yes, it takes a while, but in the long run, it’s easier than repainting a room. Once I’ve narrowed it down a bit more, I go buy samples. Like I said, the test pots were not 100% accurate, but I figured that the color was probably pretty close to the color in the pot anyways. Buy a quart if you want to be more accurate. I painted spots all over my home and labeled them 1, 2, and 3. Paint large spots if you need to. I like testing paint colors against my white trim for a more accurate view. The white took more than 1 coat to cover the teal. Once again, look at the colors in different lights and times of day. If you’re still having a hard time deciding like I was, think about how you want your room to feel. This was the ultimate deciding factor for me. Since I want my room to feel warm, I went with a warm white. The other whites were pure whites with no undertones. In the end, I chose Swiss Coffee by Behr. It’s a warm white, that is nice and bright. My rooms feel so much brighter and the warm white keeps it from feeling too stark. I’ll be honest. White walls felt very boring at first, until I brought in my decor. Now the colorful pieces shine, which is exactly what I wanted. Swiss Coffee is a great color for my specific location and needs. I’m taking my time decorating so far, so I haven’t hung anything on the walls yet. As usual, the decision to paint my walls has led to me wanting to change a few other things. 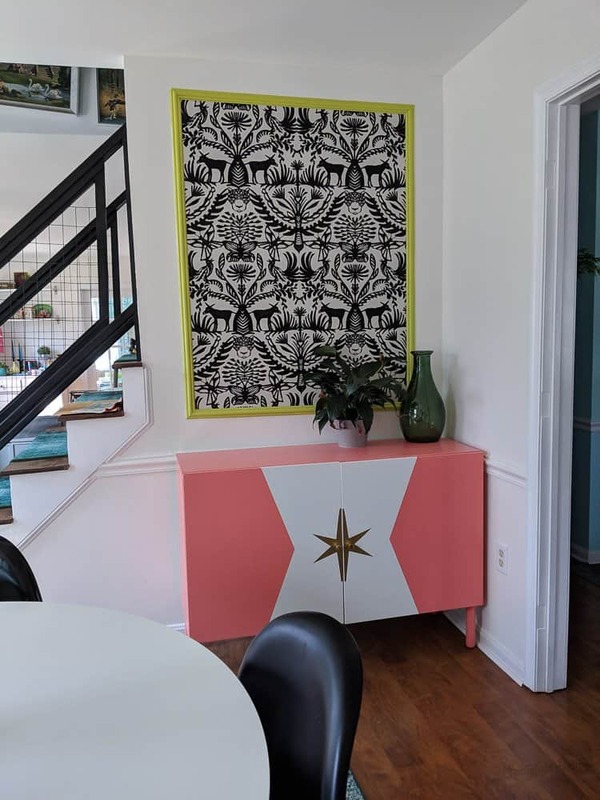 The wallpaper panel trim and Besta cabinet will get painted eventually. I’m still trying to figure out what I want to do here. It’s a good think I like painting! I’m taking my time in the living room as well. It felt like a good time to reorganize and get rid of some stuff. Like my chairs. I love how it’s looking so far! 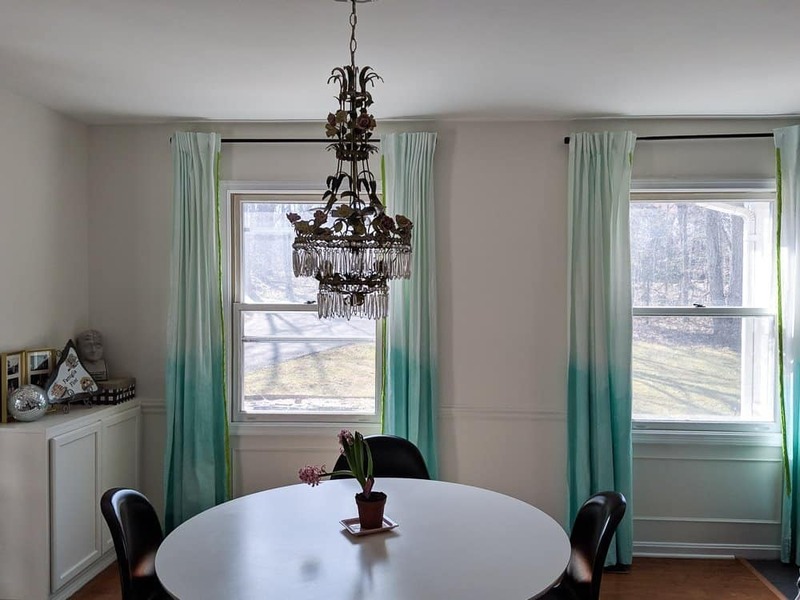 Have you ever made a decorating decision that was vastly different than anything you had ever done? 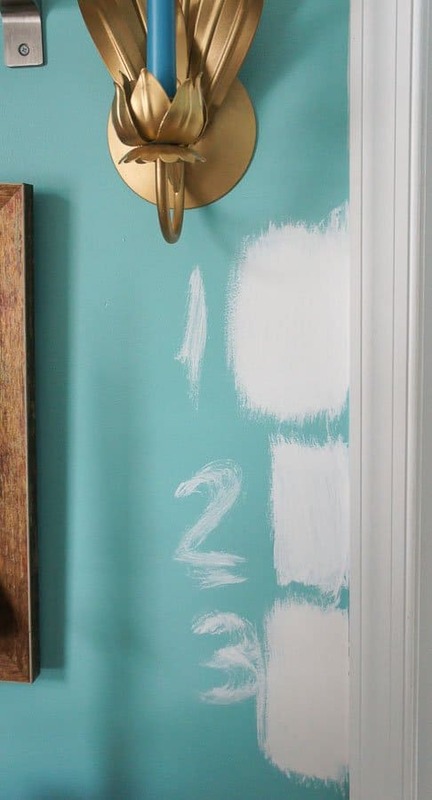 Confused about the order of painting a room? 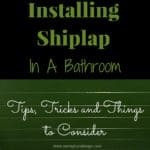 Want to know how to prep the room for paint? 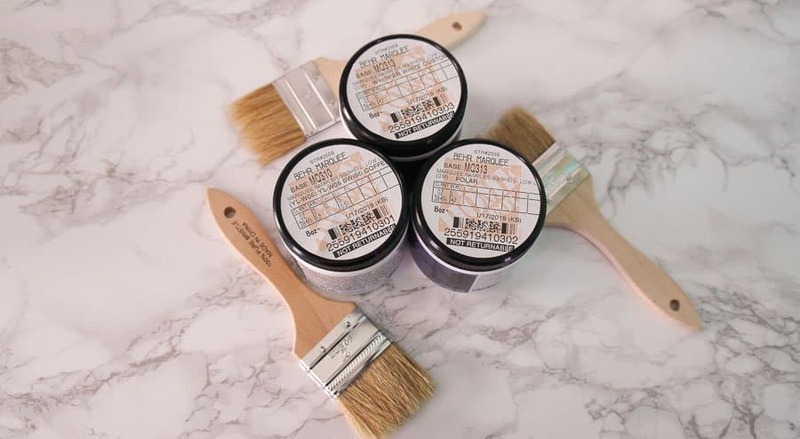 Here’s my favorite tips and tricks for painting rooms!